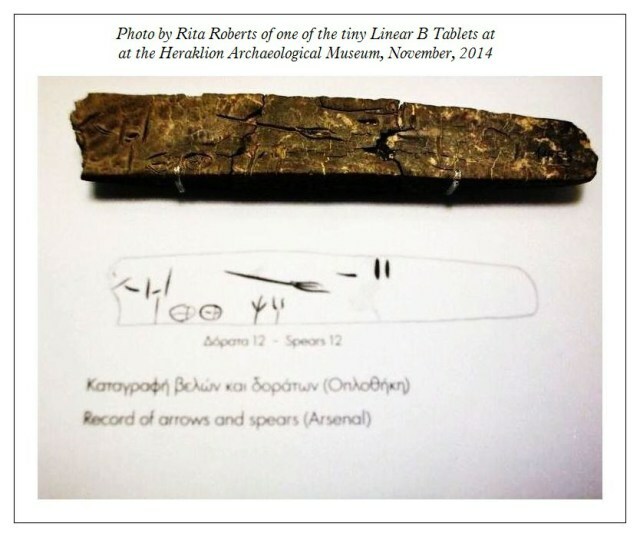 For those who have been following my interest in the Linear B Ancient Script writings, here is an update which includes my visit to The Heraklion Archaeological Museum in Crete. 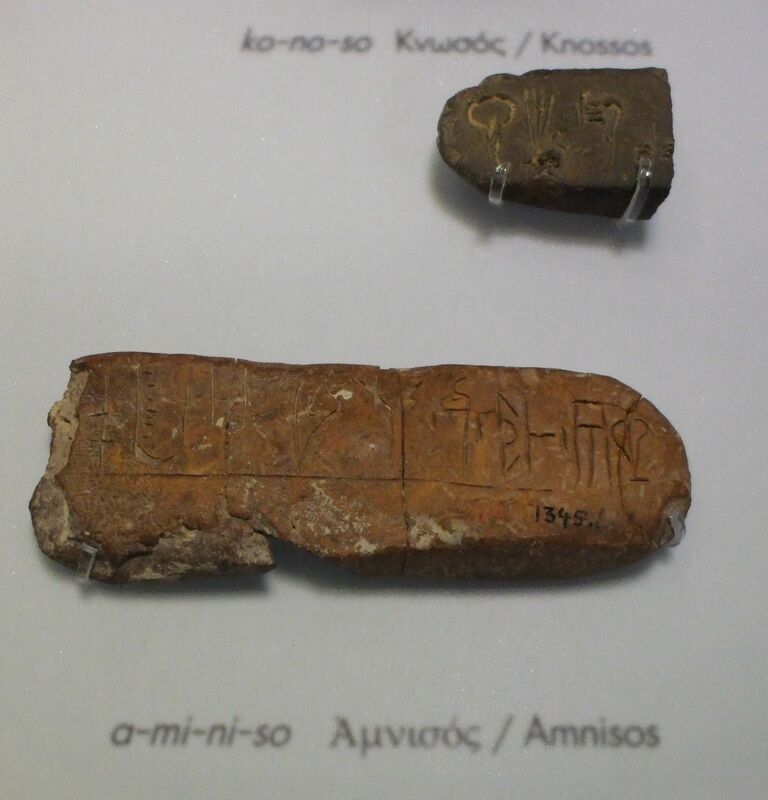 Here I was fortunate enough to see a wonderful display of some of the Linear B clay tablets which Sir Arthur Evans had discovered at Knossos Palace. I could not believe my eyes when I saw how small these tablets were, and stood in amazement trying to imagine how the scribes managed to convey all the meanings of which they wrote on these tablets, which incidentally, were not fired when they were initially made, just placed out in the sun to dry. Many of the tablets when found had evidence of being burned which has helped preserve them giving us an insight into a lost civilization. 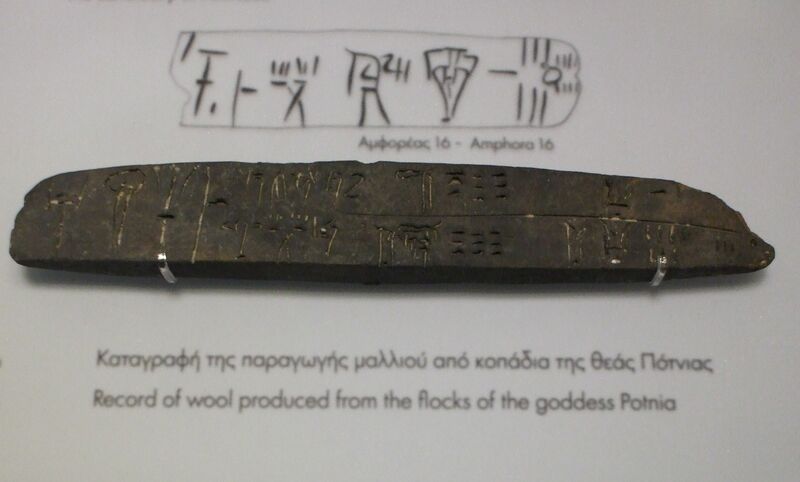 This for me was the attraction of learning the Minoan Scripts. 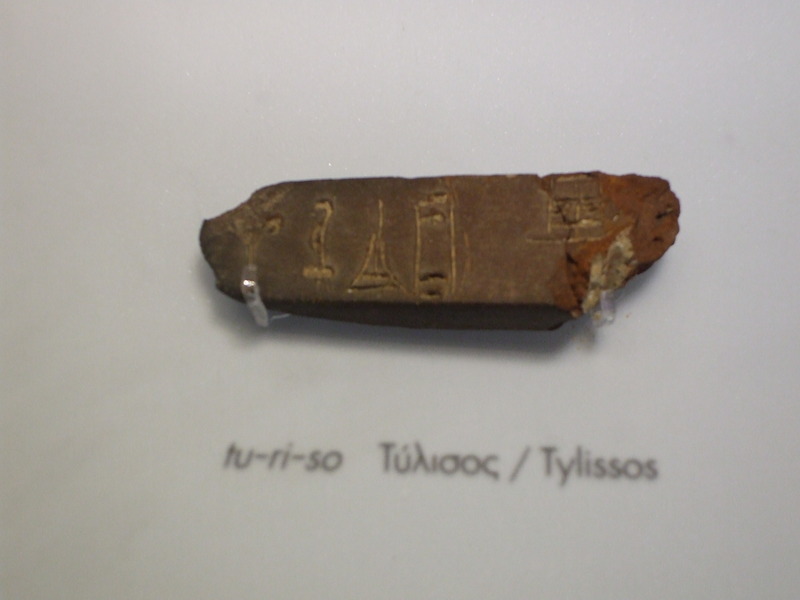 It is from these Linear B writings we learn their way of life. And I might add, it is thanks to my teacher Richard Vallance who has helped me to achieve the learning of this fascinating subject far enough to be able to read most of the tablets I was looking at. However , Richard has informed me that he has to be a little tougher with my lessons now as they will get more difficult the further into the study. so I hope my fellow bloggers will excuse the fact that my posts may be fewer than usual. You can click on all the photo’s to ENLARGE. 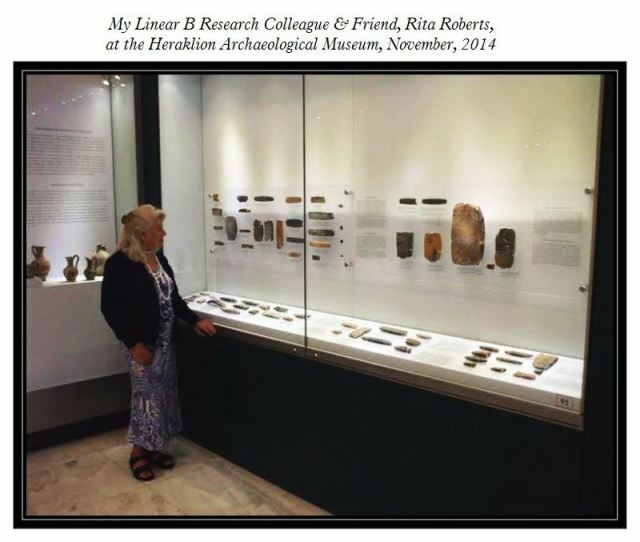 Thanks to you all for your support in reading my Linear B posts. 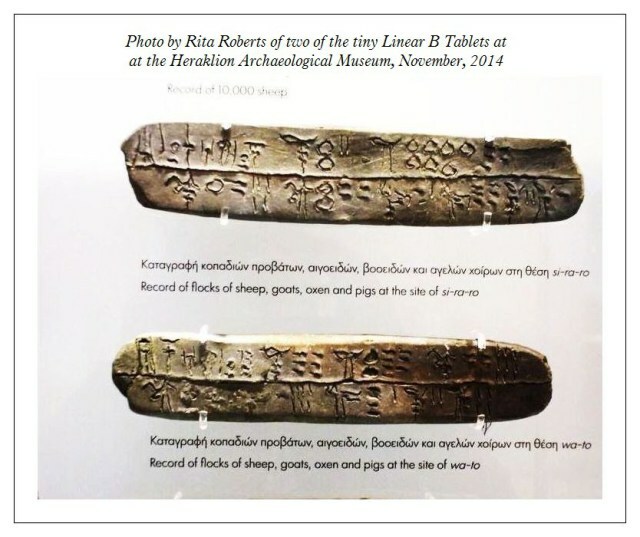 A post about my visit to The Heraklion Museum in Crete where I saw for the first time some of the Linear B tablets which were discovered by Sir Arthur Evans at Knossos Palace. I was thrilled that I was able to read them myself. Thanks for reading. Click on the photo to enlarge. You will need to view the original post. And here is Rita herself, admiring all those great little tablets. I am green with envy, but at the same time delighted Rita has done this wonderful favour for us all. Archaeological works at the temple of Thutmose III in Luxor. A team of Spanish archaeologists and Egyptologists have discovered two tombs with gold and silver jewellery from the Middle Kingdom (2050-1750 BC), under the temple of Pharaoh Thutmose III (1490-1436 BC), on the west bank of the Nile in the province of Luxor in southern Egypt. 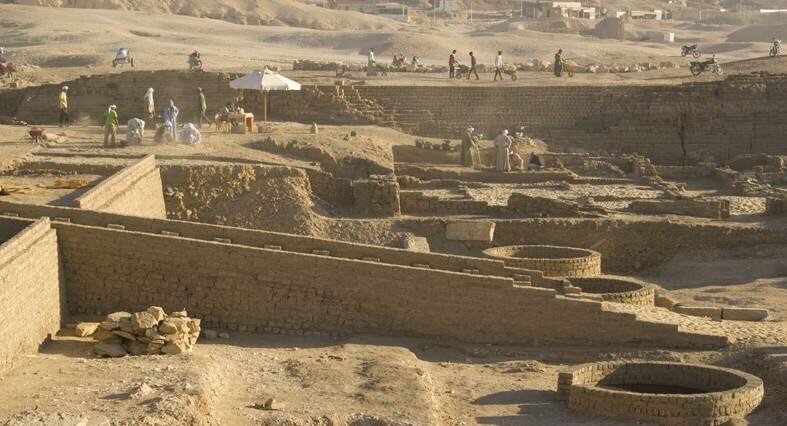 As confirmed on Wednesday by the head of the expedition, Myriam Seco, below the temple is “a whole necropolis of the Middle Kingdom,” where, two days ago, the jewels of the lady were found. The body is of a woman of high class bearing two bracelets, a pendant of semi-precious stones and gold cylinders, and a silver anklet. The two gold bracelets are in perfect condition, although the silver jewellery is extremely deteriorated. A very unusual name for a shepherd in Minoan times. 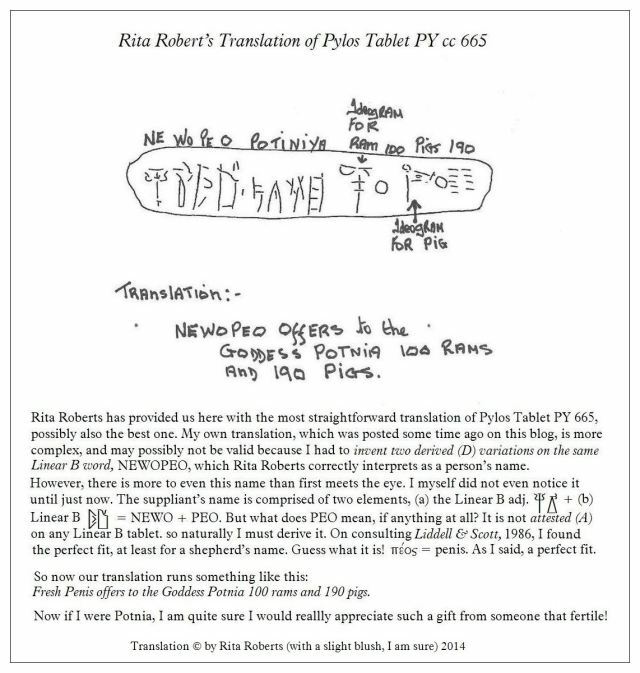 This post is about an Ancient Minoan Linear B Tablet with two alternative translations shared between my teacher Richard Vallance and myself Rita Roberts. I hope my fellow bloggers will enjoy. Thanks for reading and following my interest. A most interesting post from The British Museum. East meets West in grand style in Richmond for the next few months. Our Virginia Museum of Fine Arts is hosting the Forbidden City exhibit and it’s a jaw-dropper. I was invited to a private tour of the exhibit yesterday (how about that?) and I could have stayed all day if left to my own devices. One fabulous object after another was on display, but one in particular caught my eye. An enormous scroll of a life-sized horse dominated a gallery space, and I was immediately drawn to it. 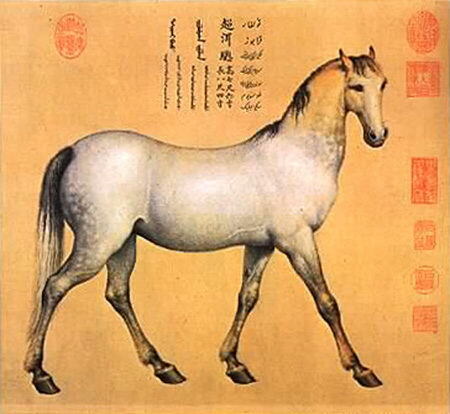 There was something about it that seemed….well, different from the artwork one typically sees on Chinese scrolls. And for good reason, it turns out.